When will be The South Bank Show Originals next episode air date? Is The South Bank Show Originals renewed or cancelled? Where to countdown The South Bank Show Originals air dates? Is The South Bank Show Originals worth watching? Sky Arts brings some of the most famous episodes of The South Bank Show back to television with added footage and extra interviews and contributors. Melvyn Bragg dissects his 1988 meeting with photographer David Bailey, who discussed his working class background and relationship with model Jean Shrimpton. Melvyn Bragg looks back on a classic South Bank Show episode from 2005, in which the spotlight fell on Parisian artist Sophie Calle. Melvyn Bragg looks back to 1998, when The South Bank Show travelled to Havana to tell the story of the unique orchestra Afro-Cuban All Stars. Melvyn Bragg looks back to 1997, when The South Bank Show travelled to Reykjavik to meet Bjork, who candidly revealed her myriad influences and inspirations. Melvyn Bragg looks back on his eye-opening 1997 meeting with Kay Mellor, the writer of TV dramas including Playing the Field, Jane Eyre and Band of Gold. Melvyn Bragg looks back to 2002, when he joined screenwriter Andrew Davies on the set of Dr Zhivago, the British TV miniseries he wrote the teleplay for. Melvyn Bragg looks back on a classic episode of The South Bank Show recorded in 2000, which featured British jazz musician Courtney Pine. Melvyn Bragg reflects on his 2007 meeting with jazz musician and host of BBC Radio 4 panel show I'm Sorry i Haven't a Clue, Humphrey Lyttelton. Melvyn Bragg looks back on his 2004 meeting with crime writer Ruth Rendell, who discusses her early career as a reporter and her fascination with the murder mystery genre. Melvyn Bragg reflects on his 1982 meeting with writer Patricia Highsmith, who discussed Tom Ripley, her most well-known creation and protagonist of five of her novels. Melvyn Bragg reflects on an episode of his arts programme from 1980 in which he met American artist Andrew Wyeth at his Pennsylvania home. Melvyn Bragg looks back on his 1992 interview with American author Alice Walker, whose novel Possessing the Secret of Joy tackled the subject of female genital mutilation. Melvyn Bragg looks back on his 2009 meeting with director Peter Kosminsky, whose acclaimed dramas include Britz and Shoot to Kill. Melvyn looks back on his 1992 meeting with film director Terence Davies, a candid interviewee who found a love for musicals after a troubled childhood. Melvyn Bragg looks back on his 1992 meeting with electronic pop duo the Pet Shop Boys and reflects on their remarkable rise to stardom. Melvyn Bragg looks back to a classic episode of The South Bank Show from 1999, where rock band Blur reflected on their meteoric rise to Britpop stardom. Melvyn Bragg looks back on his 1992 meeting with Elizabeth Taylor, offering a fascinating insight into the real woman behind the Hollywood facade. Melvyn Bragg looks back on a classic 1995 episode of The South Bank Show, in which he spent time with Oscar-winning actress Jodie Foster. 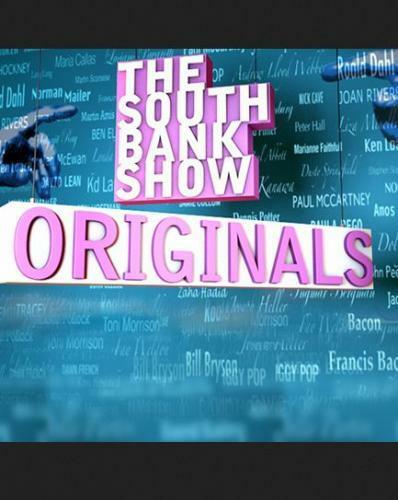 The South Bank Show Originals next episode air date provides TVMaze for you. EpisoDate.com is your TV show guide to Countdown The South Bank Show Originals Episode Air Dates and to stay in touch with The South Bank Show Originals next episode Air Date and your others favorite TV Shows. Add the shows you like to a "Watchlist" and let the site take it from there.